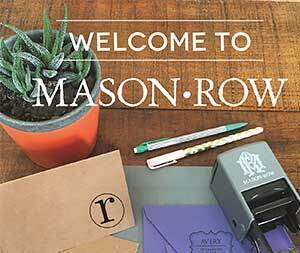 Design your own 2" stamp with Mason Row! Upload artwork or logo, and lines of text if you prefer. Perfect for business or personal use, add a personal touch to your wedding, social correspondence, and more.